A modern Walden—if Thoreau had had three kids and a minivan—Cabin Fever is a serious yet irreverent take on living in a cabin in the woods while also living within our high-tech, materialist culture. Try to imagine Thoreau married, with a job, three kids, and a minivan. 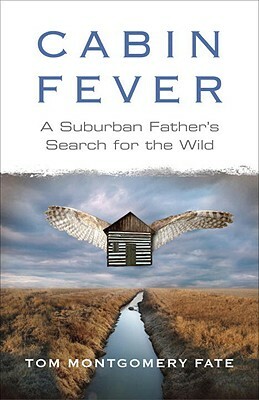 This is the serious yet irreverent sensibility that suffuses Cabin Fever, as the author seeks to apply the hermit-philosopher’s insights to a busy modern life. Tom Montgomery Fate lives in a Chicago suburb, where he is a husband, father, professor, and active member of his community. He also lives in a cabin built with the help of friends in the Michigan woods, where he walks by the river, chops wood, and reads Thoreau by candle light. While he divides his time between suburbia and the cabin, Fate’s point is not to draw a line between the two but to ask what each has to say about the other. How do we balance nature (picking blackberries) with technology (tapping BlackBerrys)? What is revealed about human boundaries when a coyote wanders into a Quiznos? Can a cardinal protecting chicks from a hungry cat teach us anything about instincts and parenting? Fate seeks a more attentive, deliberate way of seeing the world and our place in it, not only among the trees and birds but also in the context of our relationships and society. In his exploration of how we are to live “a more deliberate life” amid a high-tech, material world, Fate invites readers into an interrogation of their own lives, and into a new kind of vision: the possibility of enough in a culture of more. Tom Montgomery Fate is the author of four books, including the collection of essays"Beyond the White Noise" and the spiritual memoir "Steady and Trembling." His essays have appeared in the "Chicago Tribune, Boston Globe, Orion, Iowa Review, Fourth Genre, Christian Century, "and many other publications, and they often air on NPR's" Living On Earth" and Chicago Public Radio. He is a professor of English at College of DuPage in Illinois, where he lives with his family. His cabin is in southwest Michigan.